And I’m not talking about unit sales. That happened years ago, specifically Q4 2013; Apple (NASDAQ:AAPL) sold 26 million tablets that quarter, and unit sales have trended lower ever since. Three new iPad models are reportedly imminent: a 9.7-inch model, a 10- to 10.5-inch model, and a 12.9-inch model. The smaller and larger versions of the trio are differentiated enough in form factor, but it’s hard to imagine consumers complaining that their 9.7-inch iPad would be so much more useful if only the diagonal measurement was 0.8 inches larger. As far as specs go, the newest models should receive an A10X chip, which should be a more powerful version of the A10 Fusion that powers the iPhone 7 and 7 Plus. Beyond the expected cadence of spec bumps, there don’t appear to be any major new features or functionalities in store. There’s also almost no way that Apple is ready to transition iPads to OLED displays, which are expected to appear (finally) this year in the most expensive iPhone. That’s especially true since displays are always the largest cost driver, OLED displays are quite expensive, and the iPad is much larger than the iPhone. Yet the iPad Mini still gets lower priority than the larger iPads. 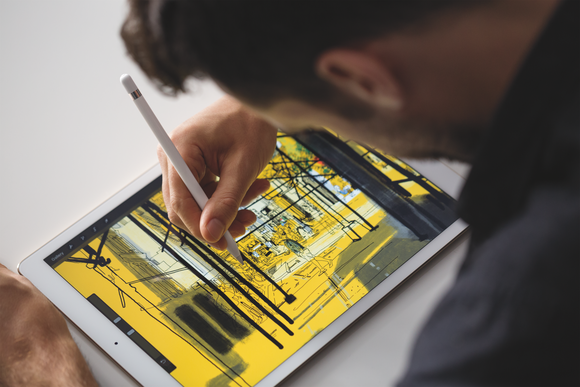 Instead, Apple is focusing on moving upmarket with the 12.9-inch iPad Pro that is intended to cater to the enterprise. In order for Apple’s enterprise strategy to work, it needs to really make the iPad Pro competitive as a laptop replacement. This is a pitch that Apple has only recently begun making, historically positioning the iPad as a third category of device that consumers should buy, while rivals have been pursuing 2-in-1 form factors for much longer. Apple makes it clear that it does not target the sub-$200 tablet market. 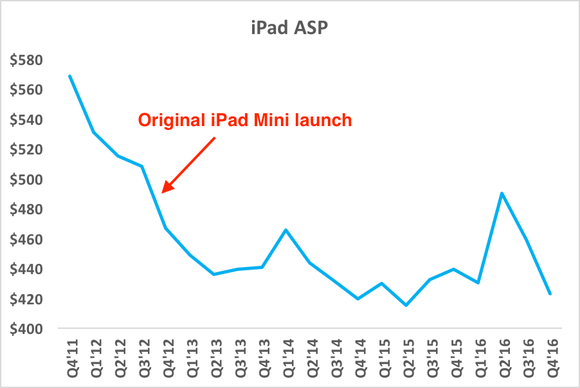 That’s all fine and in line with Apple’s premium brand positioning, but it could still tackle the $200-plus tablet market by simply allocating more developmental resources to the iPad Mini. On one hand, it makes financial sense that Apple continues to prioritize the iPhone as its largest revenue driver. On the other hand, the iPad arguably needs more attention so that iPad unit sales can perform better. This entry was posted in Stocks on July 13, 2018 by admin.